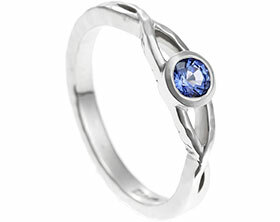 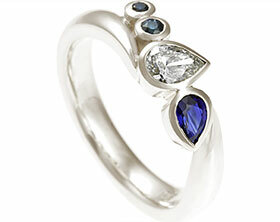 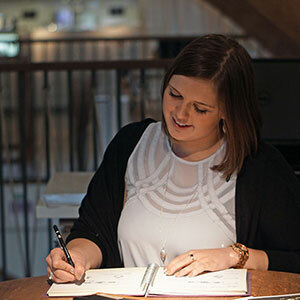 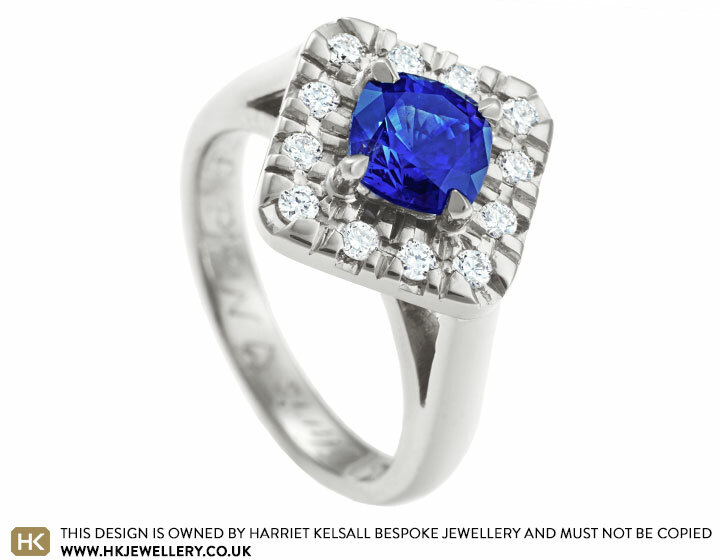 Nicola wanted to commission an engagement ring that was dramatic in design and which also included a striking blue sapphire. 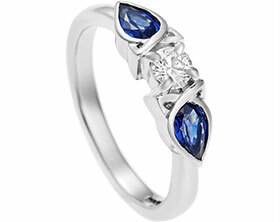 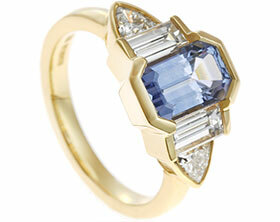 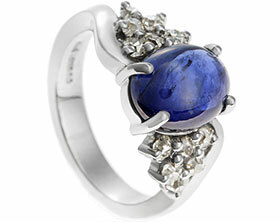 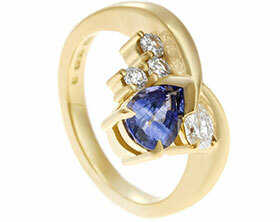 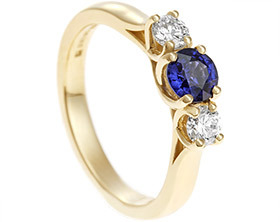 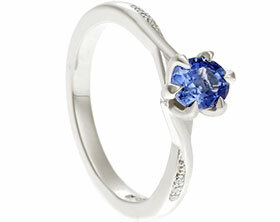 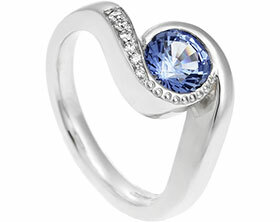 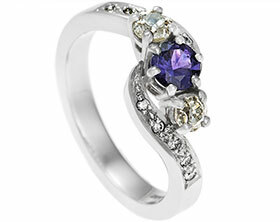 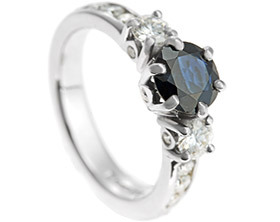 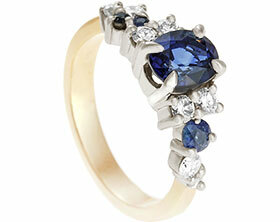 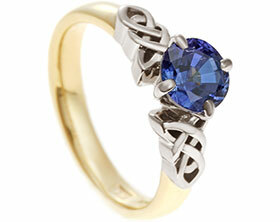 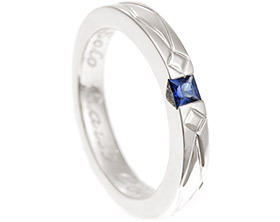 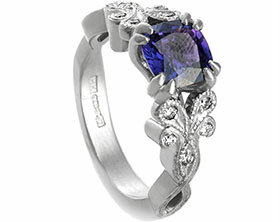 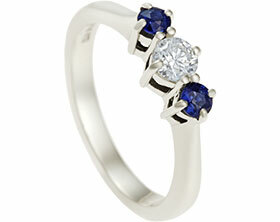 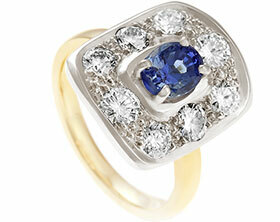 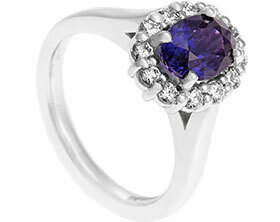 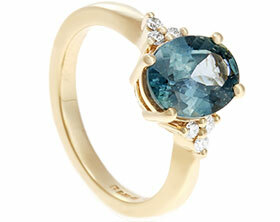 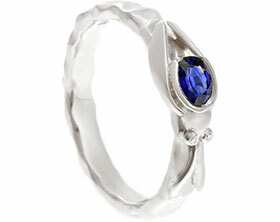 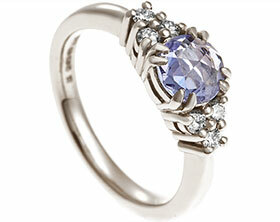 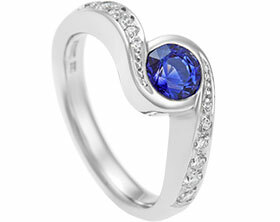 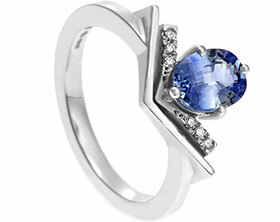 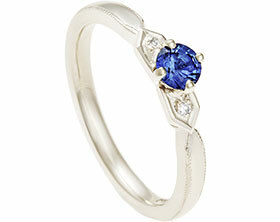 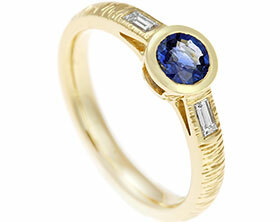 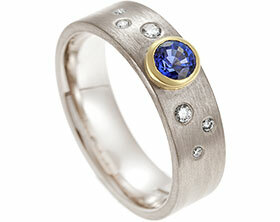 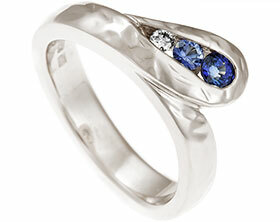 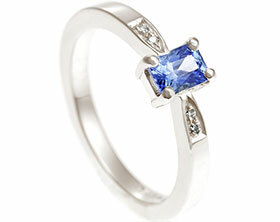 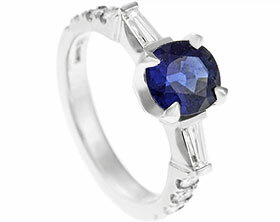 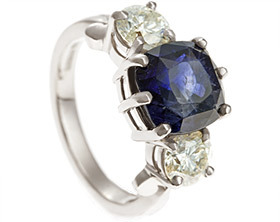 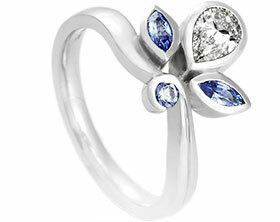 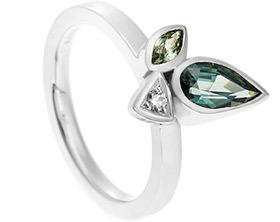 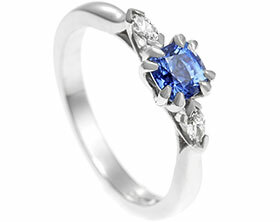 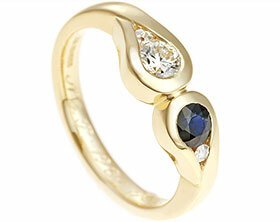 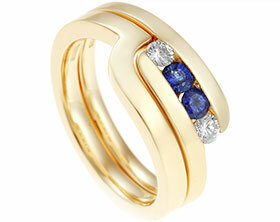 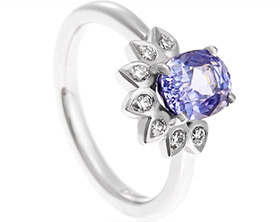 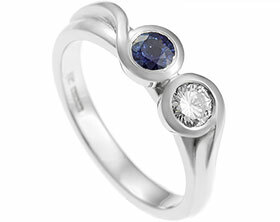 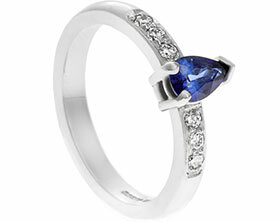 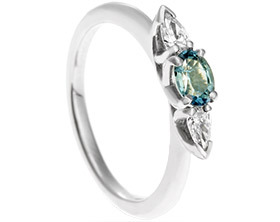 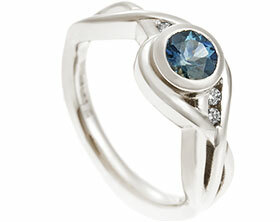 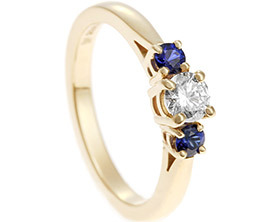 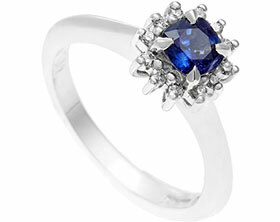 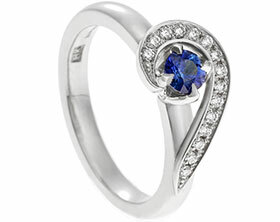 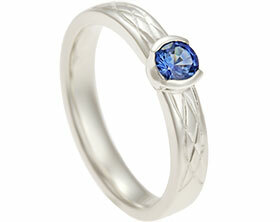 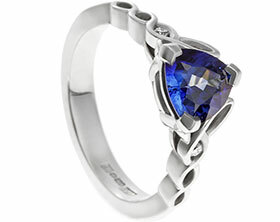 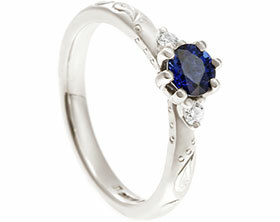 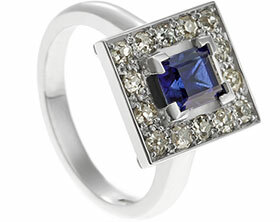 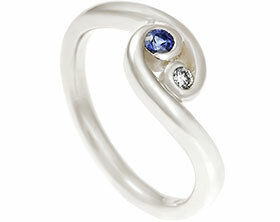 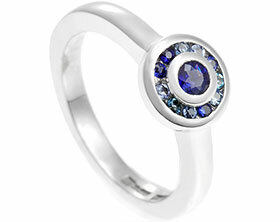 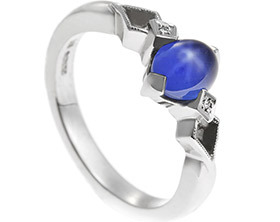 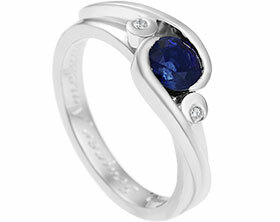 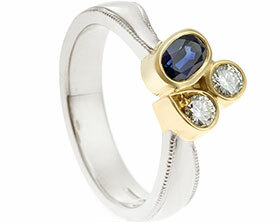 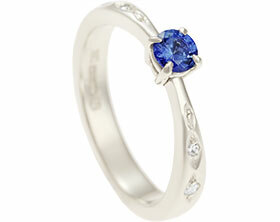 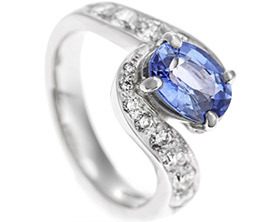 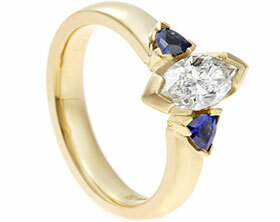 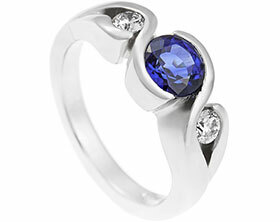 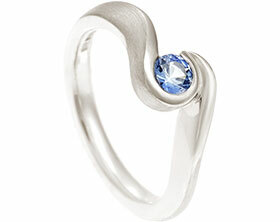 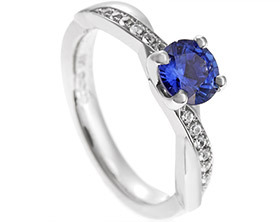 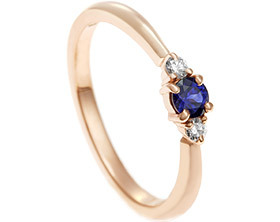 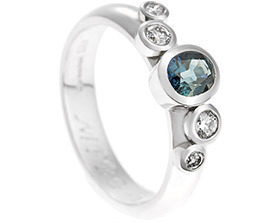 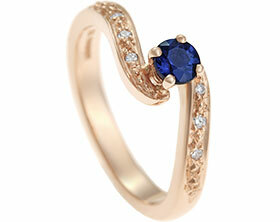 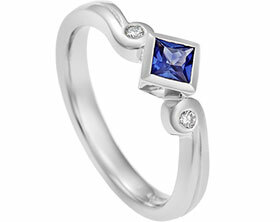 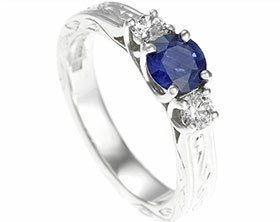 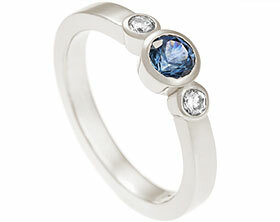 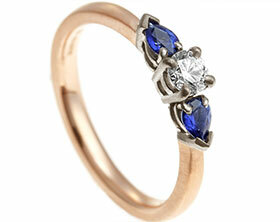 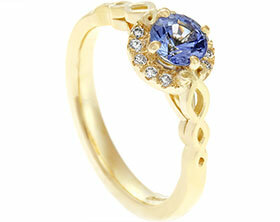 She loved the idea of a cluster design with a central sapphire surrounded by diamonds. 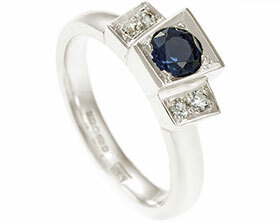 We sourced a selection of stones for Nicola and she chose this 6mm 1.74ct cushion cut blue sapphire which has been set on its points to create a modern feel. 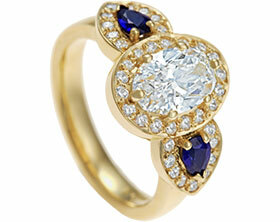 Twelve brilliant cut G VS1 diamonds(totalling 0.27ct) frame the stone to create a striking vintage style. 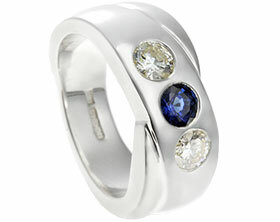 The cluster has been formed on a plate and shaped to allow Nicola's wedding ring to sit underneath. 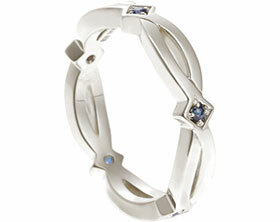 Beneath the cluster plate, the 18 carat white gold forms an intricate cross-over design.